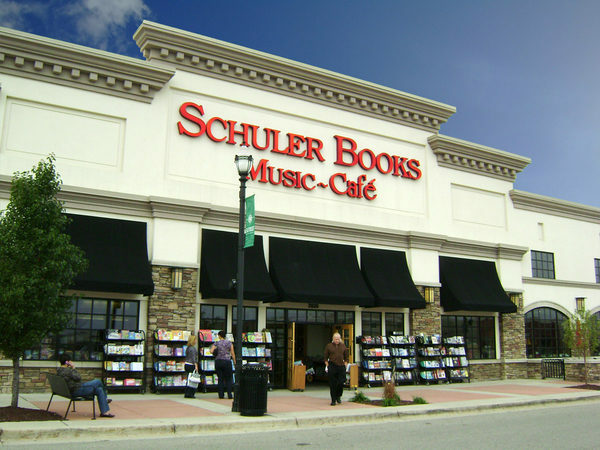 Schuler Books is a Michigan-based chain of bookstores including one in the Eastwood Towne Center Mall in Lansing. Schuler Books is a Michigan-based chain of bookstores including one in the Eastwood Towne Center Mall in Lansing. All three stores feature Chapbook Cafe, weekly literary events and a Espresso Book Machine, a patented high-speed automatic book making machine for print-on-demand titles. For more information or of list of events at the Lansing store go to www.SchulerBooks.com or call (517) 316-7495. Monday-Thursday: 9 a.m. to - 9 p.m.
Friday-Saturday: 9 a.m. to - 10 p.m.
Sun: 11 a.m. to 7 p.m.